When you’re looking to improve your property, making it look and function exactly the way you’d like, you’ll need a professional landscaping company to help you along the way. 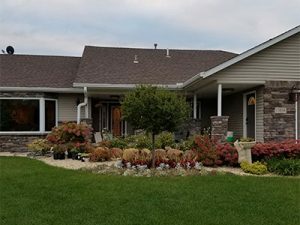 From design to building, BDI Outdoor Solutions is the company for you, providing expert landscaping services in the Oakdale, MN area that will leave you with no regrets! We offer a wide selection of landscaping services to make your home or business completely your own, ensuring that you can make the most of the outdoor space on your property. Whether you’re looking to improve your outdoor living space, build a new outdoor living space, add on features to your yard, or otherwise, we’ll be there to help you plan your landscaping project and complete the work as quickly as possible so you’re your property can be used to its maximum potential in no time at all. As landscapers with years of experience providing residential and commercial landscaping services, we know that there are some major differences between both types of landscaping work. Often times, budgeting and time constraints are different for commercial and residential landscaping projects, and we take these concerns into account when helping you plan your landscaping work. We won’t steer you wrong, making sure you have all the information you need to make an informed decision about the landscaping work you opt to have done. Whether we’re working on your business or home property, though, you can count on us moving as quickly as possible and offering you the best price so that you can have affordable landscaping improvements that won’t leave your home or business shut down for weeks. If you’re planning on having one or more of these landscaping features installed on your property, start thinking now about how you want your property to look. Making landscaping decisions takes time and expertise; as long as you put in the time to decide what you want, we have the expertise to give you exactly that! From a new paver driveway to a custom deck, our landscaping services will help you build your dream home or business this year! To begin planning your landscaping project, contact our St. Paul, Minnesota metro area landscapers at BDI Outdoor Solutions. 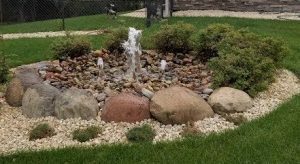 Call us today at (651) 235-7411, or email joemeyer@bdioutdoorsolutions.com to get a free estimate for landscaping work.